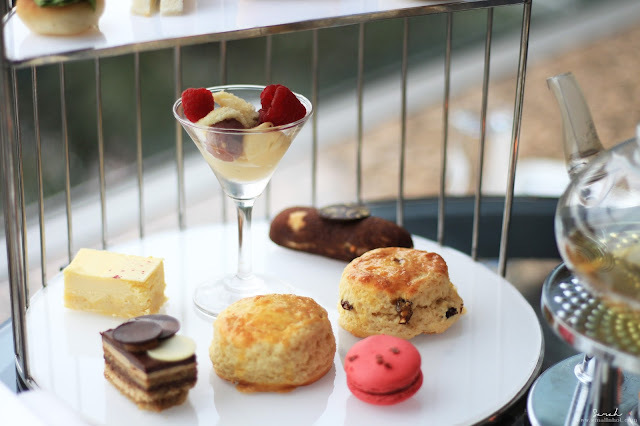 After a week hiatus, we're back with week 4 of our afternoon tea reviews. 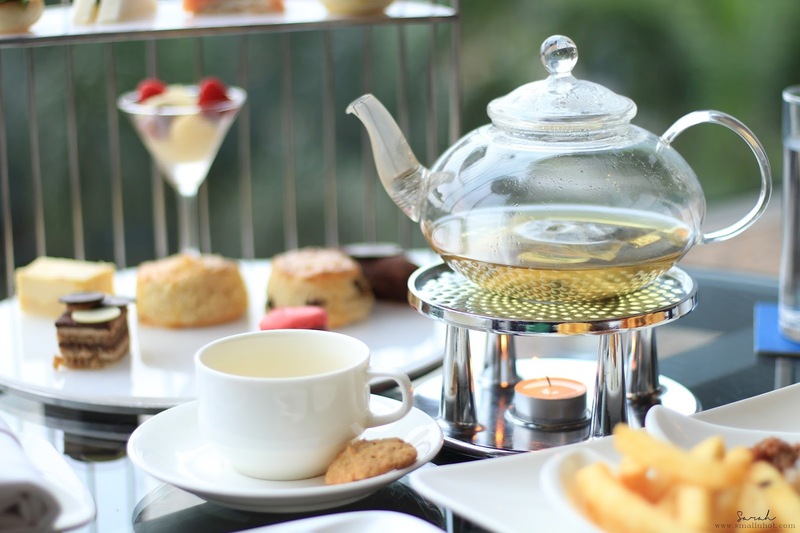 And today we are going to share our thoughts on the Afternoon Tea Affair at, Hilton Kuala Lumpur where great room designs and great service come hand in hand but is the afternoon tea experience worth your time? Let's find out! 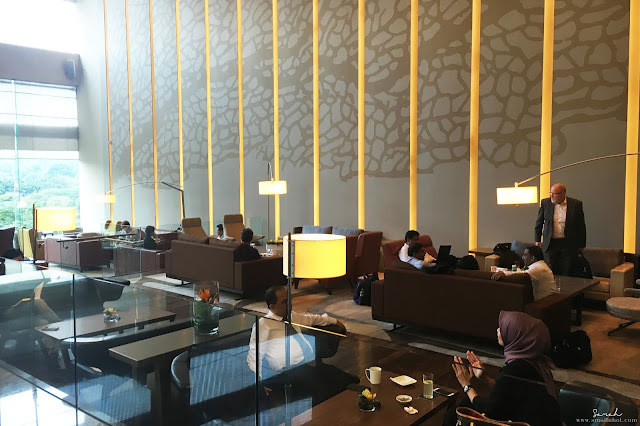 As we stepped into the Lounge, Hilton Kuala Lumpur, we were greeted with a rather casual and easy dining ambiance, which you don't usually find it in the typical 5-star hotel. Don't get me wrong, I did enjoyed the chill out vibe, it made us feel somewhat warm and homey while dining. Anyway, we opted for the window seats, although there isn't much of a view with all the KL Sentral skyscrapers packed side-by-side next to each other. 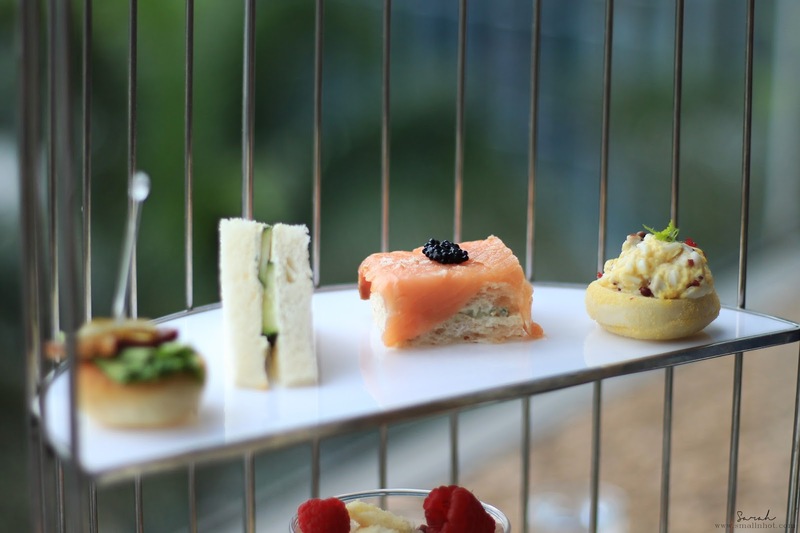 Well at least you'll get to have some natural lighting while enjoying your afternoon tea. 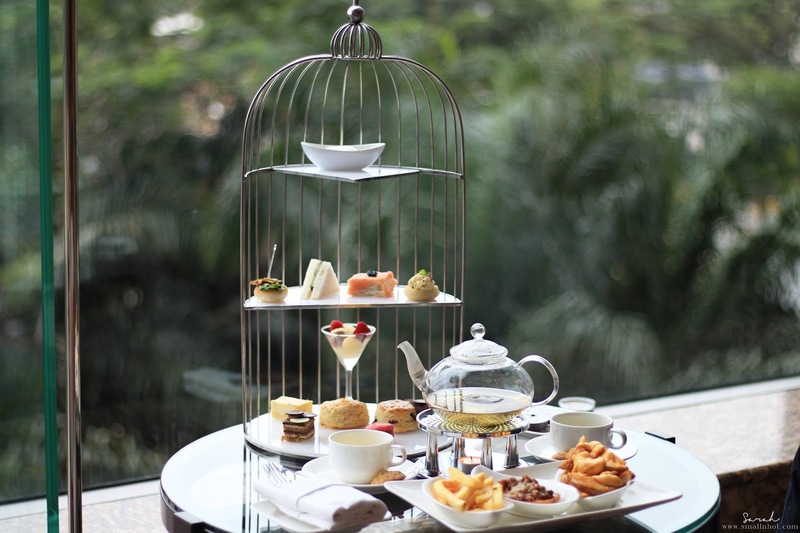 There's about 18 different tea selections available for the afternoon tea set, which includes the classic english breakfast, chamomile, earl grey and darjeeling. But if you're feeling slightly adventurous, you can go for something fancy like Mokalbari Assam, Orange Pekoe, Irish Whisky Cream, Morning Dew, Morgentau, Life & Beauty, Rooibos Vanilla and etc. As for us, we had the Morning Dew tea which is a flavoured green tea with a subtle fruity sweetness to it. 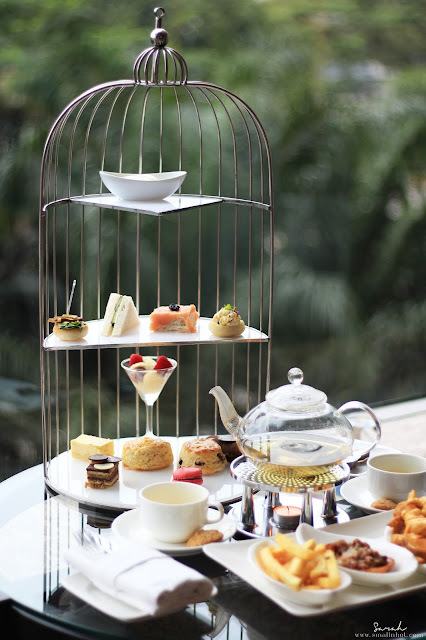 When the afternoon tea set arrived, it was not in the usual round three-tier stand instead you get a bird-cage-like stand with all the savouries and sweets arranged elegantly inside. So for the bottom tier, they have a combination pastries and sweets. 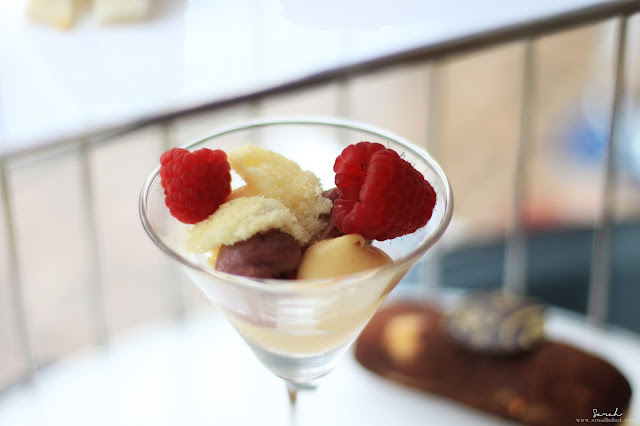 We started with the Vanilla Trifle (the one in the martini glass) and it was interestingly lovely, with a great balance of sweet and sour but for the presentation wise it has a lot of room for improvement. 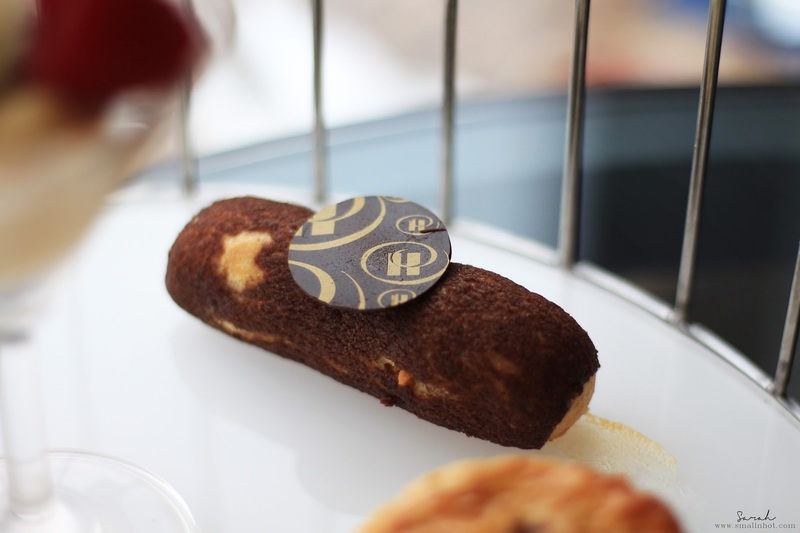 Moving on to the Chocolate Eclair, a puff filled with a sweet and creamy caramel chocolate sauce, which is quite tasty. Then we moved on to the New York Cheese Cake or maybe it should be known as "Cheese-less" cheesecake ? 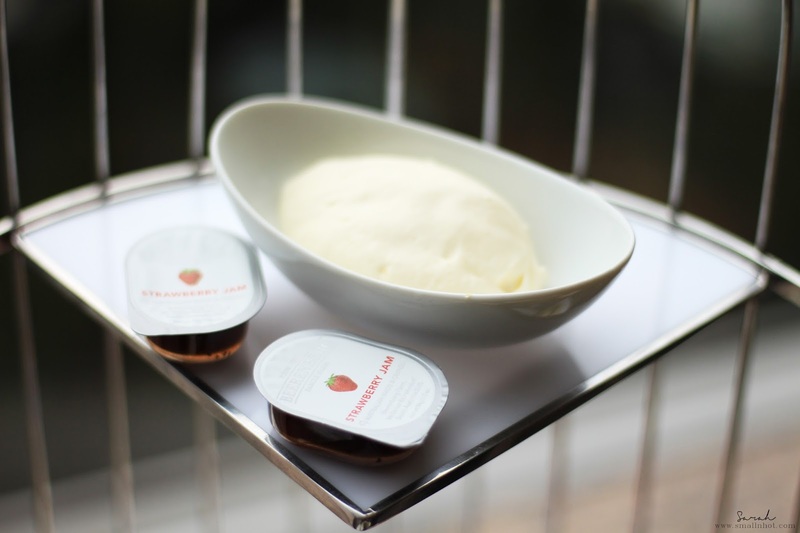 The New York Cheese Cake was more like just a cake than a cheesecake for some reason there wasn't any cheese flavouring in it. Same goes to the raspberry macaroon, lacking in flavour. Our least favourite has to go to the Opera Cake, simply because I'm not a fan of the strong coffee flavouring that comes with every bite you take. But if you do enjoy coffee, then this might be for you. 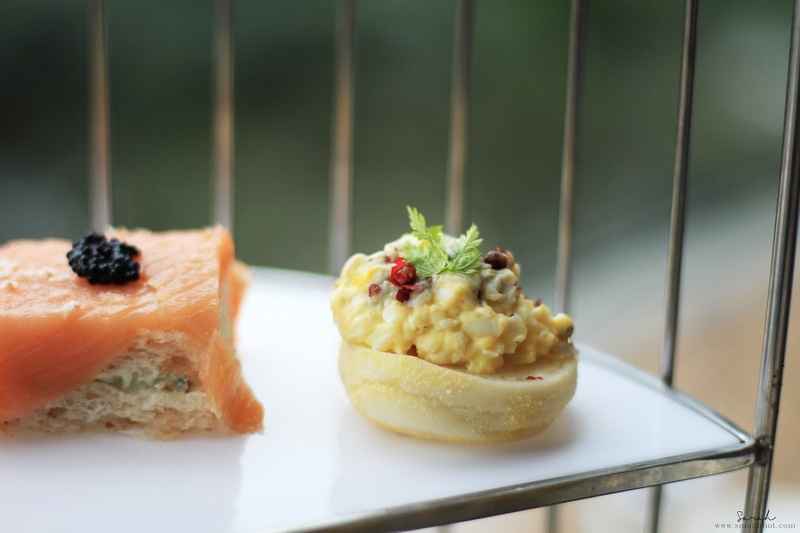 The savoury platter has 4 different types of sandwiches, with egg, cucumber, salmon and beef. The fillings for the Smoked Salmon and Chive Egg sandwiches were fresh and tasty, whereas the Beef Pastrami and Classic Cucumber were underwhelming. The slice of beef pastrami on it was rather bland and the fact that we got the beef pastrami and cornichons on a mini english muffin instead of mini brioche as written on the menu, it's not the quality you expect from a place like Hilton Kuala Lumpur. 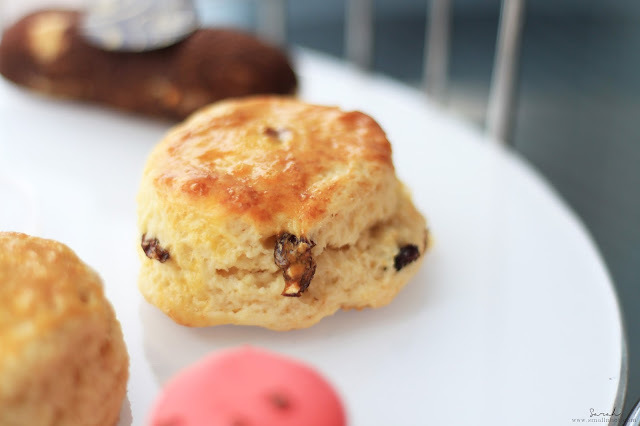 If your a regular at Smallnhot.com you would know that scones are quite an important factor that we put into consideration when it comes to an afternoon tea set because after all, what's an afternoon tea experience without scones and clotted cream. 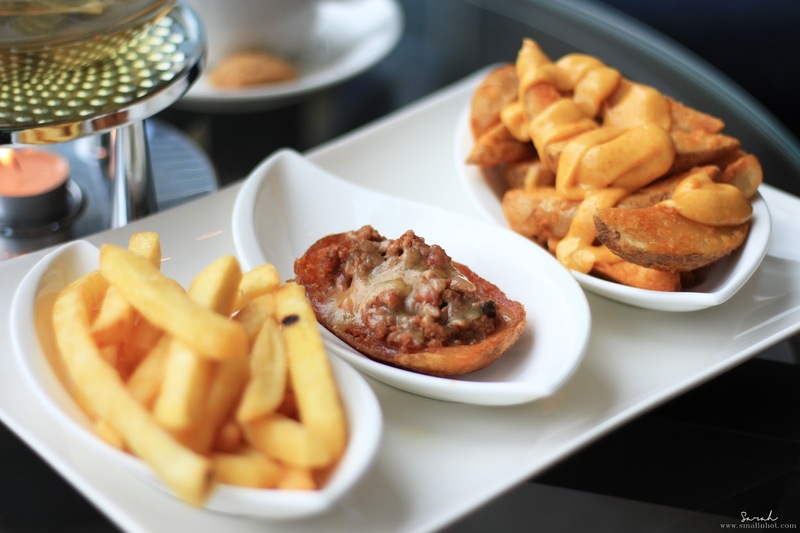 Other than the afternoon tea set, we ordered the Potato Trio Platter as well (which is only available during tea time). Potatoes in three ways came to RM 45 and we got a fair amount of wedges and fries but it's fair to say that maybe an extra slice or two of potato skins would be great here. In terms of flavour and texture, it was indeed an enjoyable potato platter.